Construction of the new Kingsmere Retail Park, formerly called Bicester Gateway Retail Park, started earlier this month with completion scheduled for late October 2019. It will be located on Oxford road, adjacent to Kingsmere Village. Since the development was first proposed, big brands have signed-up for units and others are eager to follow. Next and M&S Simply Food have signed with their latest format flagship stores and there are others in the pipeline. Kingsmere Retail Park will build on the success of Bicester as an attractive retail, residential and commercial centre. The scheme is designed to meet the needs of the local residents who will no longer have to travel outside of the area to shop and will at last be able to visit well-known modern high street stores on their doorstep. 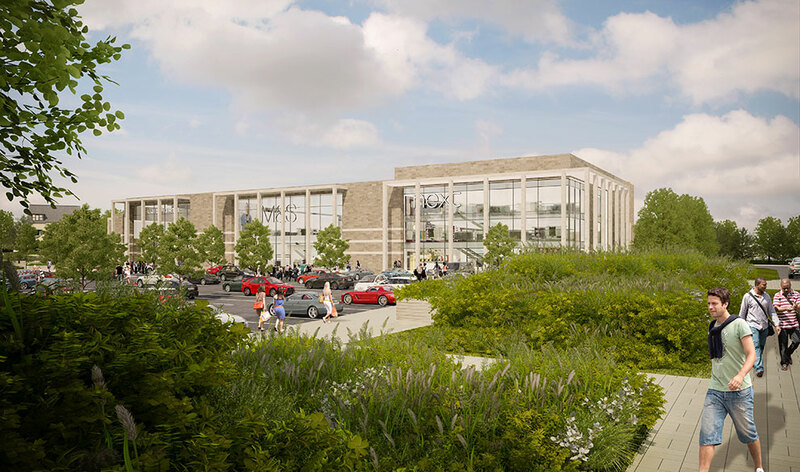 The development will provide a best in class development with a total capital investment of £40 million making it one of the most expensive retail schemes built in the UK with extensive use of natural stone, structural glazing and high-quality materials. The development will create in excess of 300 full time equivalent jobs many of which will be part-time positions and will appeal to local residents.